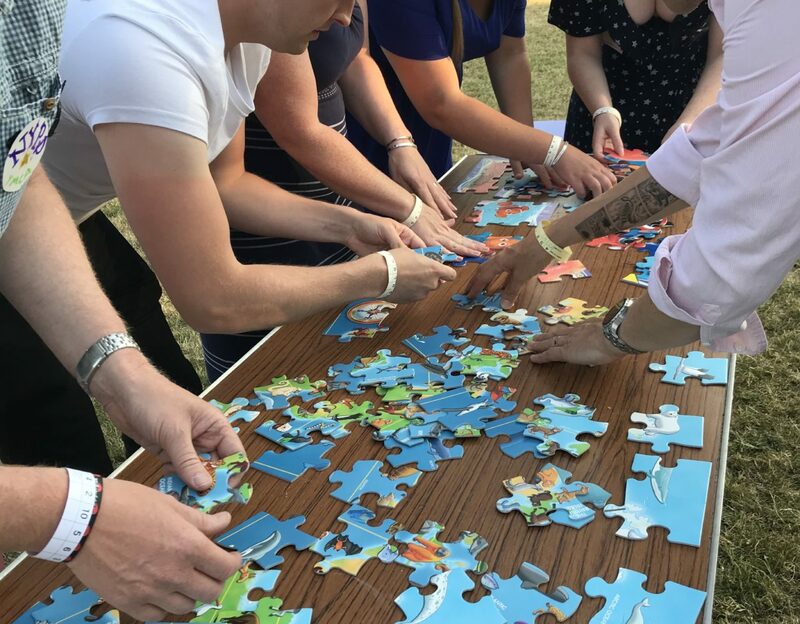 It was a Murder Mystery with a difference; Team Activ created a bespoke challenge for the team at Ramsdens Solicitors, bringing together colleagues from all their branches to celebrate and socialise. The ‘Summer Wine Sleuth’ evening centered around a famous Yorkshire detective Ernie Bygum who had been found murdered in Holmfirth and the cast of the Last of the Summer Wine were determined to solve the crime! Teams were named after Summer Wine characters; they worked together on 10 mysterious physical & mental challenges to gain as many points as possible. The more points teams collected, the more clues they were given in order to solve the ‘whodunnit’ at the end of the evening. Challenges included making a short team detective movie, creating ransom notes and eliminating the baddies (with water bombs!) The teams were excellent and thoroughly engrossed themselves in every activity. It was brilliant to watch colleagues from different offices getting to know each other and creating highly memorable experiences. Ramsdens thoroughly enjoyed the event as it created a unique experience for them to spend time together outside the office. Special thanks also to Huddersfield YMCA for their superb hosting and catering; the pie & peas went down a storm. Looking forward to working with #TeamRamsdens again soon.